Anadolu Hayat Emeklilik was founded in 1990 as the first life insurance company in Turkey. Active in private pension and life insurance markets, Anadolu Hayat Emeklilik offers clients a diverse range of highly specialised products and services. Headquartered in Istanbul with 11 district sales offices around Turkey along with a branch office in the Turkish Republic of Northern Cyprus, The Company commands a widespread service organization with its strong bancassurance network, direct sales force, agents and brokers. Anadolu Hayat Emeklilik has Turkey’s most extensive bancassurance network. Beyond pioneering the industry, Anadolu Hayat Emeklilik further builds on its identity as the generator of the highest amount of funds in the aggregate of life insurance and private pension businesses. A subsidiary of Türkiye İş Bankası A.Ş. (İşbank), Anadolu Hayat Emeklilik is the first publicly traded pension company in Turkey. 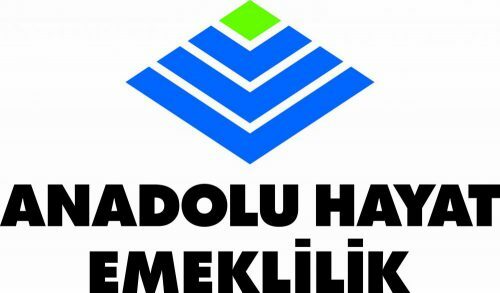 The shares of Anadolu Hayat Emeklilik are quoted on the Borsa Istanbul (BIST) Stars Market under the symbol ANHYT. Recent awards and accolades include: Best Life Insurer in Turkey in World Finance Global Insurance Awards, Turkey’s Most Admired Private Pension Company in the survey conducted by Capital Magazine and The Life Insurance and Private Pension Company with the Most Loyal Customers in the Voice of The Customer – Turkey Survey carried out by The Turkish Quality Foundation and Ipsos. “Anadolu Hayat Emeklilik sees sustainability approach as a way of adding value to society, and owns a strategy which is built on multi-layered targets such as creating economic value through its activities, developing products and services that will meet the customers’ needs and expectations, training qualified human resources that will match the needs of the insurance sector and developing corporate social responsibility projects which are focused on long-term goals.